Happy Release day to wonderful collection mates! Today is the release of our fun anthology: ONCE UPON A HAUNTED CASTLE. 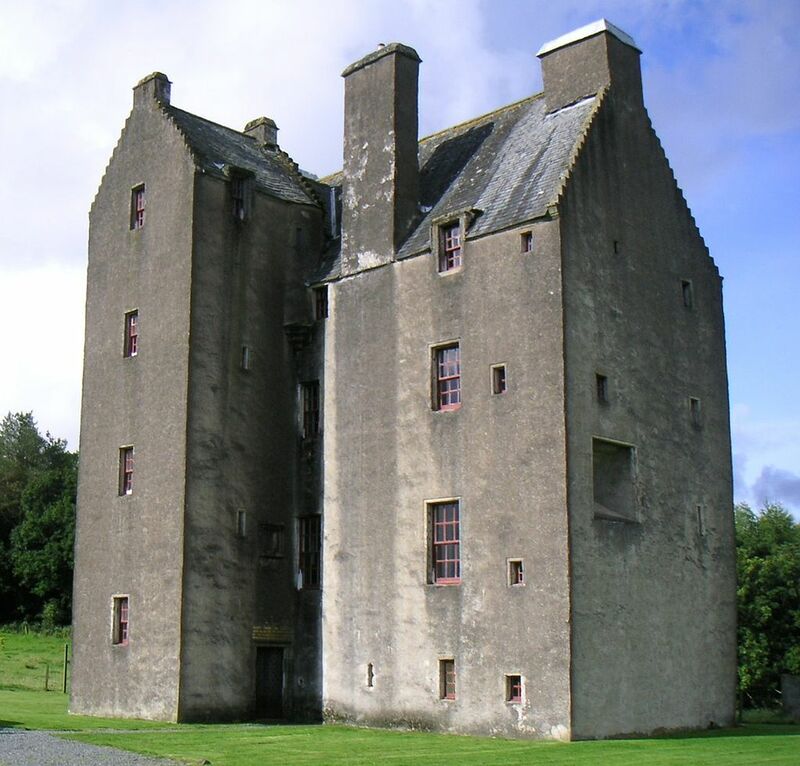 5 Scottish Castles... 5 Restless Ghosts... 5 Epic Love Stories. In our own words, check out a bit about the history of the ghost stories in our epic anthology! A funny thing happened to me: two friends approached me with ideas that meshed perfectly. 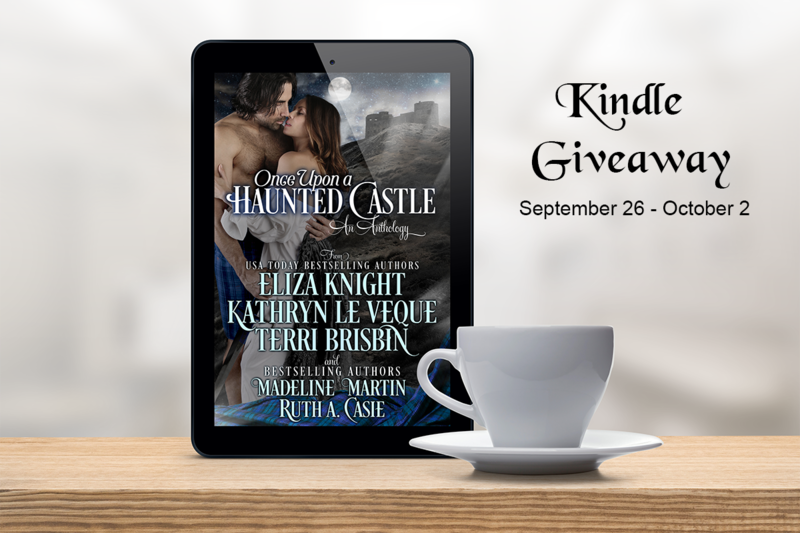 Ruth A. Casie wanted to do a ghostly Celtic collection and Madeline Martin wanted to write about Scottish ghosts that help a hero and heroine fall in love. Immediately my mind exploded with ideas! I’d worked with Kathryn Le Veque and Terri Brisbin and thought they’d be perfect for the project, too! I love a good ghost story, and in my travels to Europe, I’ve often felt the otherworldly presence of those who lived in the past. One of my favorite castles in Scotland is Dunstaffnage Castle, and I was lucky enough to visit there on my last trip! The history behind it is fascinating and haunting. There is this tale of a glaistig, or green lady, who haunts the grounds of Dunstaffnage. She is called the Ell-Maid of Dunstaffnage, but no one knows who she might have been. She appears in green, gliding over the walls, and through the forest. Her appearances often were brought on by tidings of joy or sadness within the family. This gave me an idea—in fact, it sparked a whole series! LAIRD OF SHADOWS is the opening book in my new MacDougall Legacy series (and will be releasing with bonus/expanded scenes in January 2017). In this story, we learn the origin of the Ell-Maid of Dunstaffnage… It was exciting to write this story, and I can’t wait for you all to read it, and to see what happens as I follow the MacDougall family throughout generations in my new series! In my novella, DEEP INTO DARKNESS, I drew a huge amount of inspiration from one of my favorite poets, Edgar Allan Poe. This was also my first story set in Scotland and I really wanted to do it right - creepy castle + Poe = Delicious Eeriness! I've done novellas based on Poe's works before, so it's really my interpretation of his poetry. In this case, the 'host' that narrates one of Poe's most famous poems, "The Raven", is also the host in my story. He's an old Viking who takes in two travelers for the night. And that's when the fun happens. I loved my hero and heroine so much that I had to write a full-length novel for them - THE RED LION will be released October 4th so readers can see how Jamison and Havilland met. But the bottom line is that I had a great time writing about a highlander hero and a great time writing a Medieval ghost story. I hope readers enjoy! In Kathryn Le Veque's DEEP INTO DARKNESS, Findlater Castle in the Scottish Highlands becomes a place of mystery and doom for Jamison Munro and his wife,Havilland. Traveling across the highlands one dark and stormy night, they stumble upon a lonely Host in Findlater Castle, a pathetic soul waiting for his wife to return to him. It is a terrible tale of a tragic love story that the Host tells the travelers but when Havilland becomes curious about mysterious tapping sounds that go on in the middle of the night, she soon realizes the danger that she and her husband are in. It becomes a race against time for Havilland to free a trapped spirit and save both their lives in the process. When invited to contribute to this collection, I was lost! LOL! 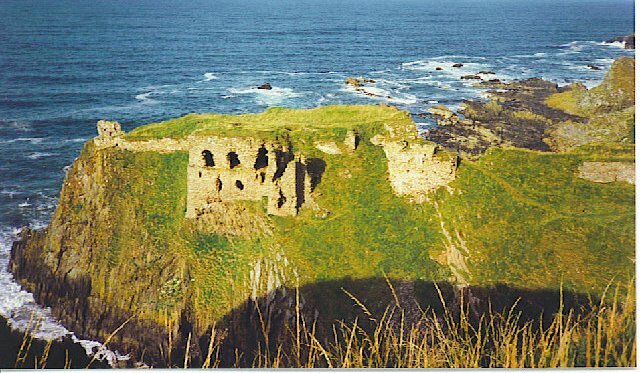 All I knew was that it must somehow involved Duntulm Castle, which I’ve visited several times and is known to be haunted. Once I was set on that location, I looked at the clans in the area and knew that the MacLeods and the MacDonalds were rivals for control of the Isle of Skye for centuries. A perfect choice for battling families. . . and forbidden love! 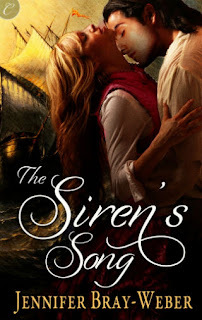 In Terri Brisbin’s UPON A MISTY SKYE, Alexander MacDonald and Isabel MacLeod were not supposed to meet or fall in love or marry. Now that they have, both of their parents plan to separate them, by any means possible. 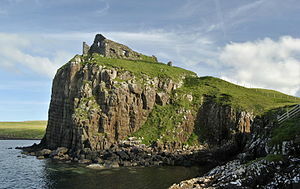 But the ghost of Duntulm Castle has other plans for the forbidden lovers and those who stand in the way of true love. I’ve always loved haunted castles and the stories behind them. 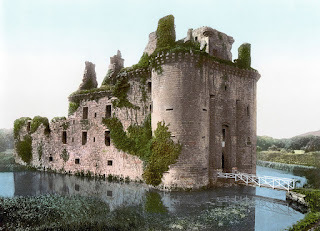 When first starting coming up with the idea for A Ghostly Tale of Forbidden Love, I read through all the ghost stories in Scotland until I came to one about Castle of Park. 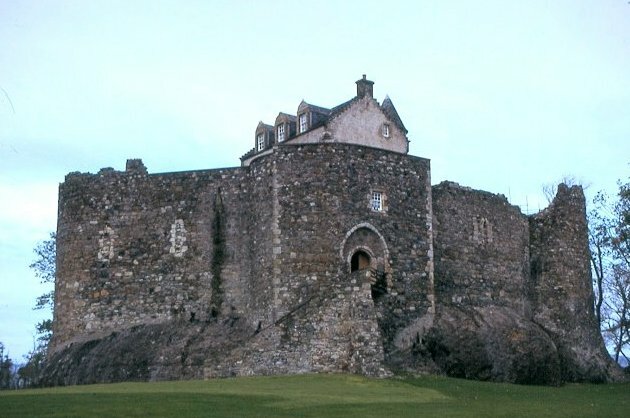 There were two ghosts: one of a monk who had been walled into the castle and left for dead, and another of a woman in green who was a servant – she’d fell in love with the laird, ended up pregnant and then leapt to her death after having been fired. Then I thought, what if I saved the servant? Don’t worry – there still ends up being a second ghost to placate history, but who will it end up being? I actually was fortunate enough to stay for two nights at Castle of Park while in Scotland a couple weeks back. While I didn’t see any ghosts, the stay was absolutely magical. In Madeline Martin’s A GHOSTLY TALE OF FORBIDDEN LOVE, Gavin MacDuff is a laird with a cruel and bitter aunt he’s sworn to protect. Senara is the new lady’s maid at Castle of Park and has sacrificed everything for the betterment of her family. Their paths tangle and lead to a road of hidden longing and secret passion – all of which is threatened by the power of one ghost who is fixed on revenge. When I wrote The Guardian’s Witch I developed a character, Jamie Collins. He’s the hero’s close friend, confidant and at times conscience. I’ve wanted to give Jamie his own story I just didn’t know what it would be until we started planning this collection. Castles, highlanders, ghosts, these were the elements that screamed Jamie Collins to me. When I sat down the story almost wrote itself. My story is about Jamie and Laura Reynolds, two childhood friends who find themselves trying to solve a double murder not only to bring the murderer to justice, but to put a ghost to rest. Jamie and Laura’s relationship turns from friends to lovers but their whole story couldn’t be told in a novella. I have so much more to tell you about them that I had to write a full-length novel for them - THE HIGHLANDER’S ENGLISH WOMAN will be released in December. Readers will be able to see how Jamie and Laura’s relationship is tested and who helps Jamie along the way. This was a fun story to write. I hope you enjoy reading about them. In Ruth A. Casie’s THE MAXWELL GHOST, traitors, deception, murders and ghosts run rampant at Caerlaverock Castle. 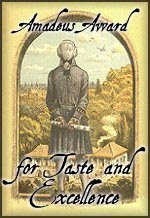 Jamie Collins, a man of reality not hocus pocus, serves Lord Herbert in exchange for a his own farm. Laura Reynolds, the Herbert's distant cousin comes to the castle to solve the murders and put the ghost to rest. The two, long-time friends find their destinies intertwined with hidden passions, but all is in jeopardy when Laura becomes the murderer’s next target. Jamie will find he needs some ghostly assistance to save Laura and declare his love. Want to read more? Check out our anthology, now available in ebook and print! 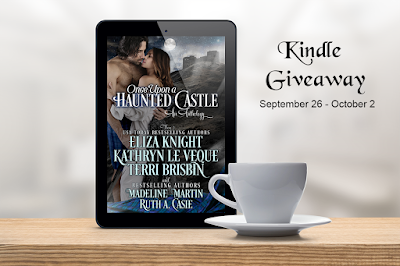 Enter our Rafflecopter Contest for a chance to win a KINDLE! Between November 1889 and January 1890, Nellie Bly, a 25-year-old reporter for the New York World, set a record for traveling the globe in seventy-two days, beating the time of the journey portrayed in the Jules Verne novel, Around the World in Eighty Days. 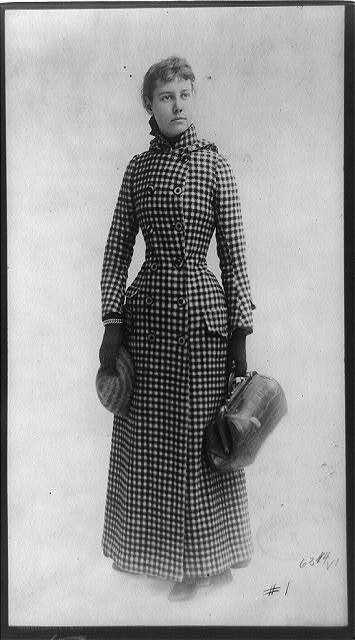 ~ Nellie Bly traveled light. She carried one piece of luggage that measured sixteen inches wide and seven inches high. ~ She sailed from Hoboken Pier on November 14, 1889. ~ While on her journey, Nellie Bly met Jules Verne, the author of the novel that inspired her feat. ~ Bly’s journey included stops in Calais, Penang, Singapore, Hong Kong, Yokohama, San Francisco, and a return to New York. ~ Crowds cheered Nellie Bly on throughout her journey from San Francisco to New York City. 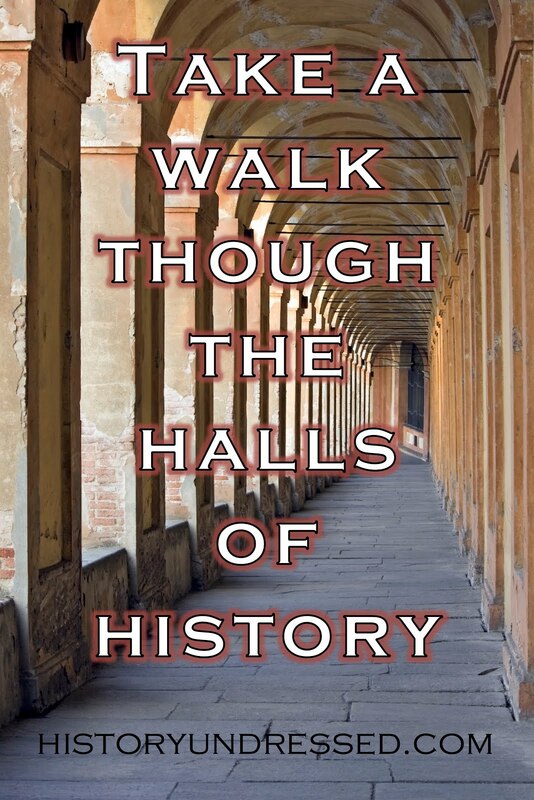 ~ Nellie Bly had competition during her journey. The Cosmopolitan newspaper dispatched reporter Elizabeth Bisland from New York, traveling in the opposite direction as Bly. She completed the journey, but took four and half days longer. 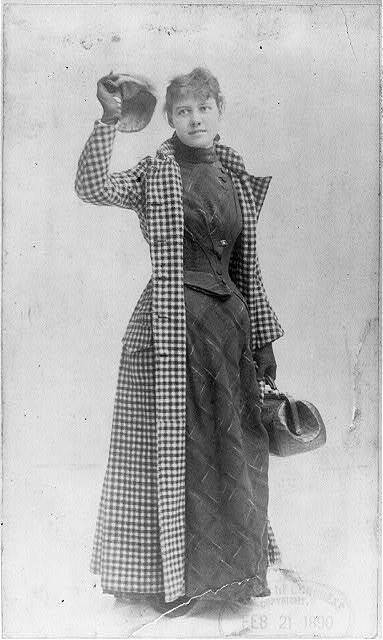 ~ Nellie Bly arrived in New York City on January 25, 1890, seventy-two days after she departed. ~ Nellie Bly’s account of her journey, Around the World in Seventy-Two Days” is available in the public domain. 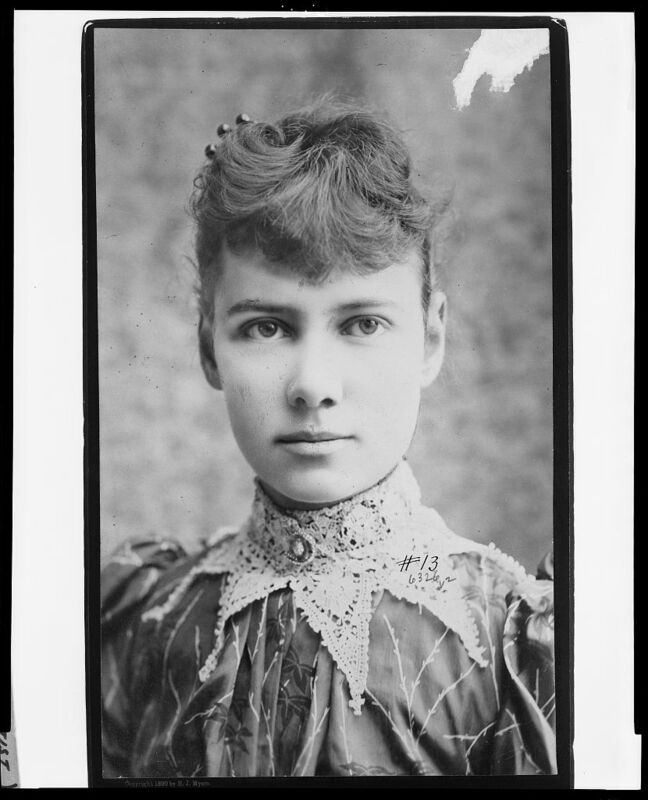 Photographs of Nellie Bly used in this post are found in the Library of Congress (in the public domain). 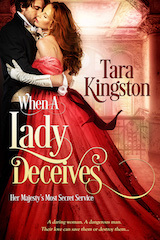 A Little About My New Release, When A Lady Deceives. 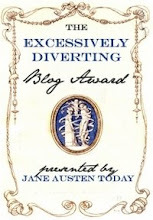 To read more about When A Lady Deceives and enjoy an excerpt, please click here. Every member of a pirate crew was important. Skills and seafaring knowledge may vary but, generally speaking, it took many men to sail a ship. Add to that, to expertly be ready for action. Discipline, responsibility, and working together ensured success, or at the very least staying afloat. Here is a brief look at what made up a crew. The captain, having proven himself worthy of the title, was elected by the crew. He was a good leader, cunning, and courageous. He took command of the ship during battle, determined when to give chase and when to seek safer waters. The crew looked to him to find treasure, be that a prized ship, goods, or riches, and to keep them alive. The quartermaster, who was also elected, was just as important as the captain, possibly more so. He was the voice of the crew, representing their best interests. He was usually the most trusted member of the crew and may have been seen as the captain’s equal. He handled the plunder. This meant that he determined what goods would fetch a fine price in port and allocating fair shares to the crew. Though he distributed the booty, he also doled out justice and punishments. Rationing food and drink fell to him, as well. This seaman knew the sea and stars. He had to be literate, good in mathematics, and be able plot courses, especially in dangerous waters, reefs, and shoals. He was in charge of the shipboard guns and ammunition. It took years of experience to become a master gunner. Gun crews had to work together quickly and with precision. The master gunner trained and oversaw the gun crews to ensure not only their effectiveness but their safety, too. The boatswain was like a department manager. He supervised all deck activities, crewman working the decks, the ship’s rigging, sails, anchors, and carrying out any other duties asked of him by one of the ship’s officers. A pirate’s gotta eat and the cook was the guy that prepared the meals. If it was wood, the carpenter was responsible for its maintenance. Namely the ship’s hull, yardarms, and masts. He quite literally kept the ship afloat by plugging holes, filling seams, and repairing damage caused by battle, worms, weather, rocks, and rough seas. Sometimes, the carpenter was also the ship’s surgeon. First mate - the second-in-command to the captain, which he chooses. Incidentally, the first mate does not outweigh the quartermaster. 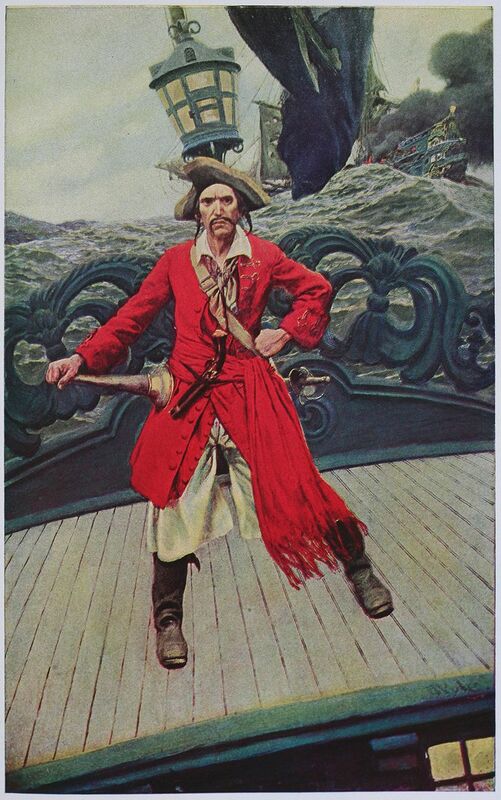 Many crews didn’t have first mates or, because they were second-in-command, might be interchangeable with the quartermaster, depending on the abilities of the pirate filling the role. Other mates, such as a bo’sun mate or gunner mate, would act as apprentices. Cooper - the barrel maker was in charge of maintenance and repairs of all casks, which held food, water, and, of course, the rum. Topman - this sailor wouldn’t be squeamish of heights. He worked high up in the masts on rigging. Rope maker - you guessed it, he makes and repairs ropes. And there is a boatload of rope on a ship, pun intended. Armourer - in charge of all small arms—muskets, blunderbusses, pistols, etc. Crewmen didn’t carry these weapons on them. They were stored until needed. Musicians - as non-essential as they were, those with musical talent, even just a tiny bit, were favored. They played jigs and sea shanties for merriment and roused fighting spirit during battles. Everyone on board played a role in the crew. They all worked hard. It’s no wonder they partied hard, too. Pass the rum!